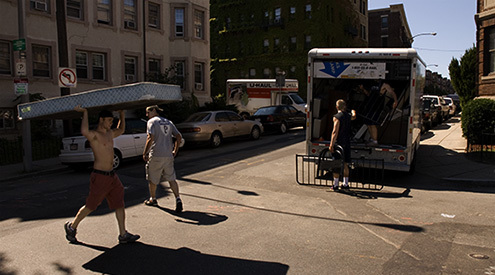 Boston is home to some 60 colleges with more than 250,000 college students. It is estimated that 13,000 live off campus. They all move into the neighborhood the first two weekends in September. ~ by shooter1 on September 7, 2008. This entry was posted on September 7, 2008 at 2:41 pm and is filed under Street photography.You can follow any responses to this entry through the RSS 2.0 feed.You can leave a response, or trackback from your own site.